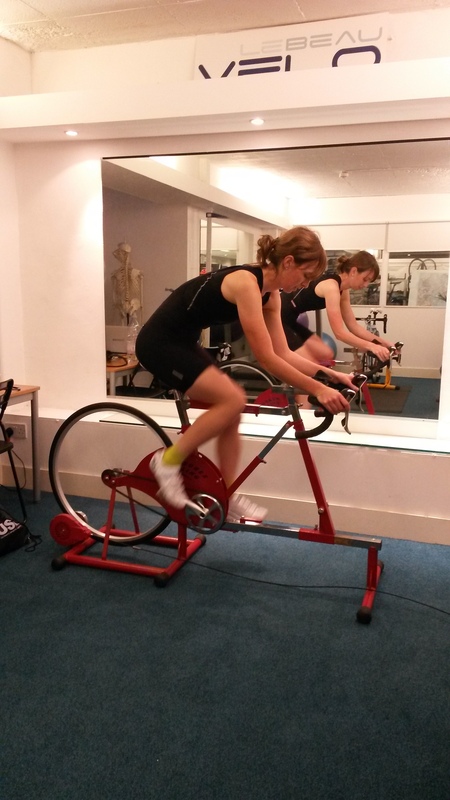 From our work at Le Beau Velo, we see clients from various sports backgrounds – running, golf, rugby, swimming…who now wish to take up cycling. The health benefits and popularity of cycling these days makes the activity very appealing. However, for any new rider, there is a new movement pattern which the body has to become accustomed to. In this case study we are highlighting how even for someone who has been very active and successful in their chosen sport, a move to cycling still requires managing for a successful transition. Sport/Exercise History: Started cycling for fitness and decided to enter some local criterium races. Riding and racing for 1 year. She works full time and cycling is her new passion. She has a sports history as a successful Fell Runner representing Britain. At the outset, the rider never felt ‘in sync’ with her race bike. 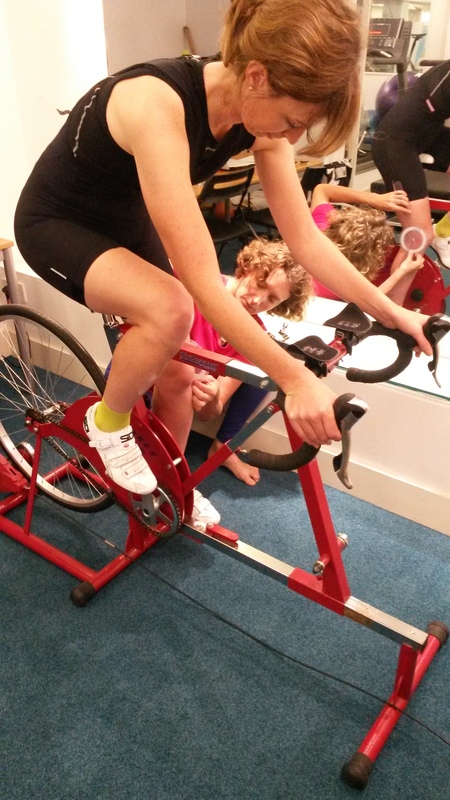 She wanted a bike fitting to see if she could alleviate some of the discomfort and imbalance she was experiencing. A relatively upright position when riding and unable to hold a ‘low’ riding position. Inefficient pedal stroke with a high heel position. Handling issues when racing – cornering, losing position, nervous descending. Overall hypermobility with a stiff section through lower thoracic spine. The low impact nature of cycling and her hypermobility needed to be balanced out with cross training that emphasised strength. Analysis of body proportions revealed the current geometry was unhelpful although at first appearance it was perceived as being a suitable size. Using the fitting jig, Mhairi could feel the benefit of the changes that were advised. A less aggressive seat angle and longer top tube to suit her body proportions. Greater handlebar drop to encourage the tight areas of her spine to move. Specific mobility and stretch program for tight areas. Recommendations regarding specific strengthening work to counteract the hypermobility. The rider has made changes to both her ‘Body+Bike’ to gain most advantage. 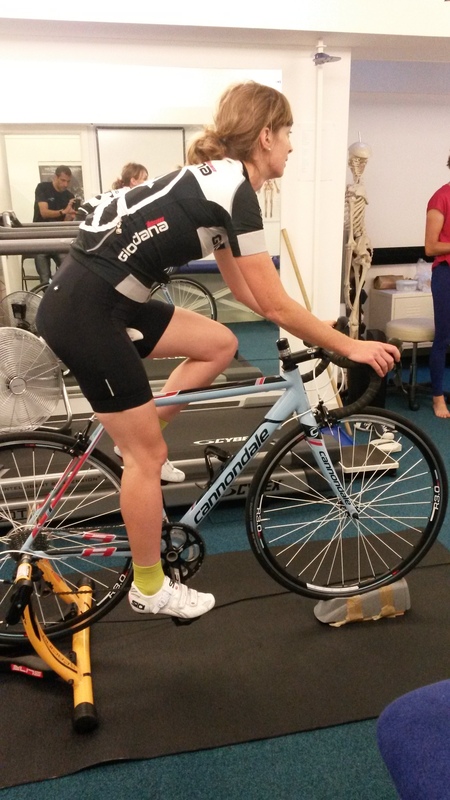 Her principle race bike has been adjusted as best as possible to the new set up. Her second bike is actually better suited for her (she always felt better on that one!). She is aware now of her imbalances relating to specific areas of immobility and areas that could use some strengthening. She has taken away a customised personal stretch and strengthening advice. This is an example highlighting that changes in movement patterns are significant in performance. A history in a particular activity can leave an imprint to influence a new movement. Understanding them and addressing them accurately is key to a successful transition.